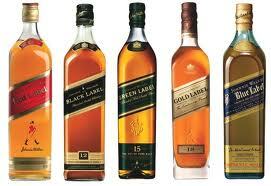 A brand new report has revealed that Johnnie Walker retained its position as the leading global spirits brand in 2011. The annual report entitled ‘Top Performing Spirits Brands’ was recently published for the second time by just-drinks and IWSR. It confirms that out of the 124 brands ranked by volume, value and growth, Diageo owned Johnnie Walker was rated as the clear leader on the international stage. Johnnie Walker also came out top in just-drinks’ own survey, having been awarded an impressive 341 points for brand strength by readers worldwide. LVMH’s Hennessy Cognac was named second strongest brand with 339 points followed by Pernod Ricard’s Chivas Regal. Scotch Whiskey also outperformed all other categories, accounting for 33 of the best-selling individual brands.